press: I just got blown away performance- yeah! I freakin love it, i would love to play with you guys. T... more. The Apology could be considered one of the hardest working, and most determined bands in all of Western NY. Their musical stylings compare most to those of The Alkaline Trio, NOFX, Finch, The Ramones, The Clash and Thursday. With power pop chorus' and well thought out lyrics, they have made a mark in their home region amist everyone else. They love what they do, and work hard at it. Creating well composed and driven punk rock, while working multiple jobs to support themselves and loved ones.All this only to someday live the dream, that many have also achieved through thier hard efforts. 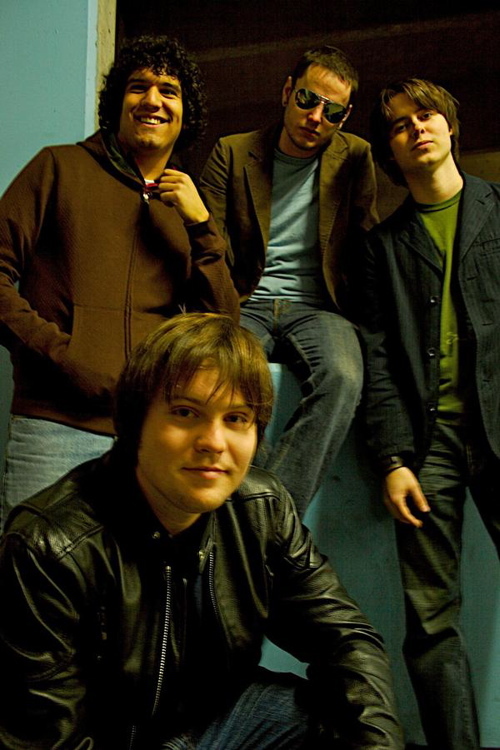 The Apology were formed in the Spring of 2002, out of an urge for pure passion for what they love. Chris had gotten fed up with trying to start a band with complete strangers, to the extent of calling it quits all together. Something happened though, and he was back on track. The writing block had ceased to exist, and he was beginning to write new music again. He needed a band though, people he would be able to work with in close quarters, and most of all, get along with. He had tried approaching a few different people, but it seemed they did not have the same ideas he had for his songs. Finally after writing the first verse of lyrics for "Only you can stop my habit" he had discovered someone. Right under his nose the whole time. Chris quickly emailed Ryan, and basically The Apology was formed... although off to a very rocky start. Drummers are the hardest thing to find in our community, especially someone who has the same thoughts and dreams that 2 others share. To find someone on the sma epage is very difficult, as the band had learned. Our first drummer matt was more into it for jamming purposes, and he had not shared the goals we had set for the band. he had no urge to bring it to more people than those smoking pot in his living room. 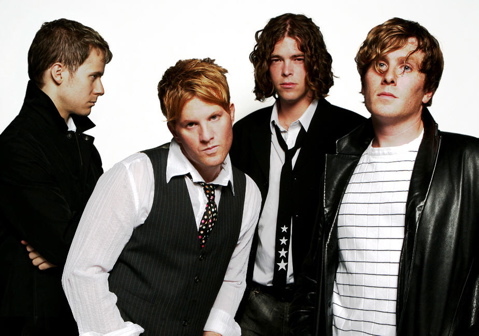 After much debate, the band had decided to move on, and matt was left behind, and as far as they know, no feelings were hurt, or hearts broken. A new drummer was now to be found, and Chris knew right where to look. Tory was approached by Chris not 2 days after he had returned home from a very long trip. Tory always seemed serious about what he did, since Chris knew him years before. Tory was asked to take up the duties of drummer, and complied. Since then the band has been un-breakable. Through a well formed bond they can joke, argue, and seemingly not truly offend eachother as they are all opeb with each other to criticism from peers as well themselves. In fact the band is serious. The music they write is from their heart, and is not intended to be mainstream, like everyone else, and mediocore. The music is feeling, the music is existence, and they want everyone to know that. All the levels of love and all the levels of hate. Pathetic as much life sounds, they are trying to make it understandable to them, and those around them. 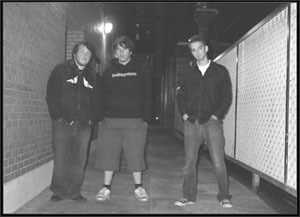 The band released "Over Obsessive" in February of 2003 on Robot Racket records, and since then have toured, and written a new 6 song EP/CD entitled "The best way to fix something broken...is to cut it out" which will be released this spring on Fallen Records (www.fallenrecords.com). This new record furthur shows their evolution, and love for what they write. The raw intensity of their sound and honestly of what they have to say has helped them bvecome something along the way for many fans and friends. See you in the front row.